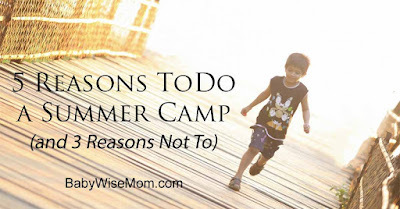 I like that a summer camp can be used to try a class or sport to see if it is something your child would like to do on a more long-term basis. One summer, McKenna tried a classical ballet class. She is tall and strong. She has also been able to go on point barefoot since she was three years old, so I thought we should see if this would be a potential interest of hers. While she loves ballet, she didn’t want to pursue that type of class after the summer because she liked having other types of dance as well as ballet. So we stuck to a regular rec dance class that had ballet, tap, and jazz for the school year. Another summer, McKenna tried a cheer class. She loved that and chose to do that instead of dance for the following school year. 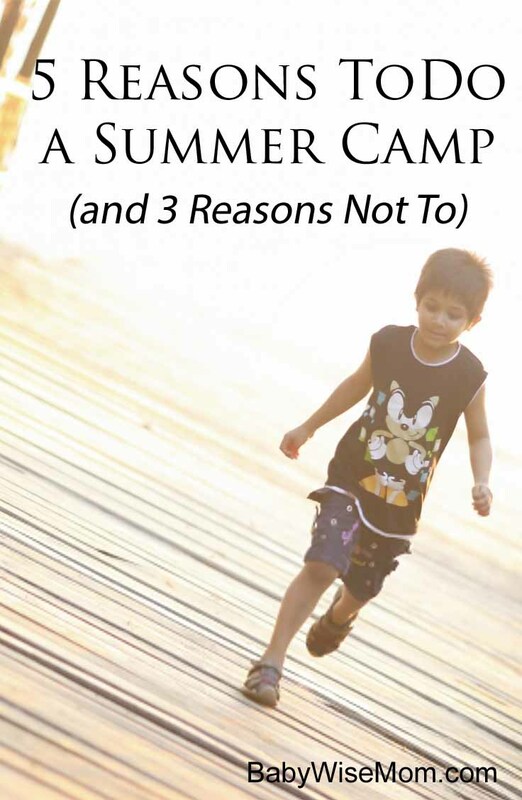 You can’t do everything, but a camp can be a way to try something for a bit to see if the thing is something your child would like on a more long-term basis. Kaitlyn loves art. Super loves it. She loves all forms of art. Each summer, she chooses some sort of art camp to do. She has done a camp that explored several mediums of art (ceramics, drawing, theatre…). The next summer she did a camp that was just ceramics. This summer, she will be doing one that is just theatre. It has been a fun way for her to spend some time with a hobby. One of Brayden’s favorites is golf. We live in a climate where golf is limited for the year. He loves to do golf camp to get some instruction and playing time in. We love having more free time in the summer, but too much free time easily leads to boredom. A camp is definitely not the only way to get structure and to give your child things to do, but it is one way to accomplish that goal. Perhaps you do swimming lessons only during the summer. Maybe there is some other activity you want to do during the year and can pursue during summer. You can have those things be a “camp” for the summer. You get the benefit of the structured activity and learning a new skill/pursuing a new hobby. You have the bonus of focusing on it only during the summer when you generally have more free time overall since there is no school during the day hours. With all of these reasons, it might seem like a no-brainer, right? Why wouldn’t you do a summer camp? We live in a busy world. Your child (and you) might enjoy time to do nothing at all–to have no commitments. You might not want firm commitments during the summer. 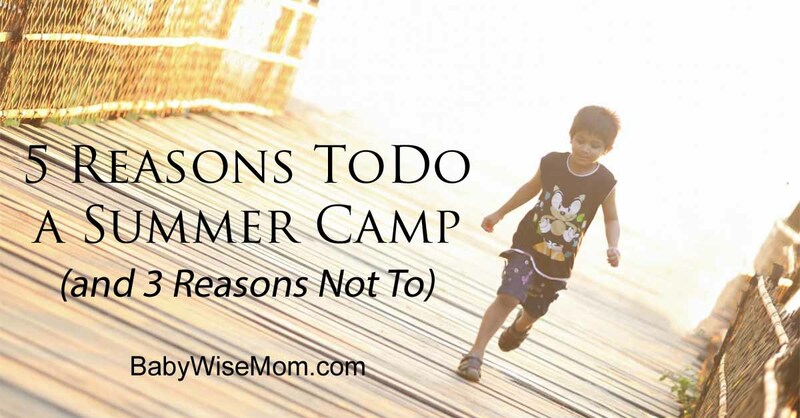 You might want to be able to pick up and go somewhere on any given day without worrying about being back for a camp. Summer camps take money, and maybe you want to save some. Try to schedule camps/commitments all on one day–and avoid Fridays. I like our activities all on one day as much as possible. This allows us to have more free days so we can be spontaneous and go do other fun things–or absolutely nothing at all! You might decide you would rather spread activities out among days. This might make good sense for you if you have a young baby who naps multiple times a day. That way you can still get naps in. Sign up with a friend. If your child signs up with a friend, you can arrange for some carpooling. Make sure you leave some free time during the summer. I try to chunk camps at certain points in the summer–not throughout the whole summer. We like some free time each summer, though we are a family that starts to get bored with too much free time. So we have times of the summer I make sure there are no commitments and try to get all kid doing their camps around the same time period. You might like to do your camps right away when summer hits. You might prefer the middle of the summer. You might like the end. There isn’t a best way for all–just a preferable way for your family.